Nicholas Jones is a New Zealand Herald political reporter. Alexandra Constantine with her daughter Imogen Constantine, 15, who has received a liver transplant from an anonymous donor. A new law will provide compensation for donors. NZH photo Greg Bowker. Organ donors will be compensated for the full cost of lost income while they recover under recommendations backed by all parties in Parliament. The health committee has reported back on a member's bill by National MP Chris Bishop and unanimously recommend it be passed - with stronger support for donors. Bishop's bill proposed reimbursing people who donate an organ for altruistic reasons at 80 per cent of pre-operation earnings for up to 12 weeks. The health committee has recommended boosting this to 100 per cent of a donor's income, which is the level of support provided in the United Kingdom. Currently, organ donors in New Zealand get the equivalent of the sickness benefit. Today, Bishop said that was a significant barrier to organ donation. He chose to pick up the bill after talking to Sharon van der Gulik, whose son had donated a kidney to her. "This is a substantial improvement on the status quo and reflects a cost-neutrality approach, where donating should neither financially advantage or disadvantage a person. "I'm very proud that New Zealanders who nobly give up a part of themselves to save the lives of another will soon be fully compensated for their brave actions." The legislation is likely to have its second reading in October. Bishop hopes it will pass into law by the end of the year. Other recommendations by the committee are to shift responsibility for compensation from the Ministry of Social Development to the Director-General of the Ministry of Health. The committee heard from many submitters who noted the difficulty donors had experienced when seeking their entitlements from MSD. Another change is to allow the new compensation to be backdated to the date that the legislation is signed into law - a move designed to guard against the risk that some people would delay donation until becoming eligible. The legislation will also make clear that donors will receive reimbursement for foregone employment income, regardless of whether they are a beneficiary. 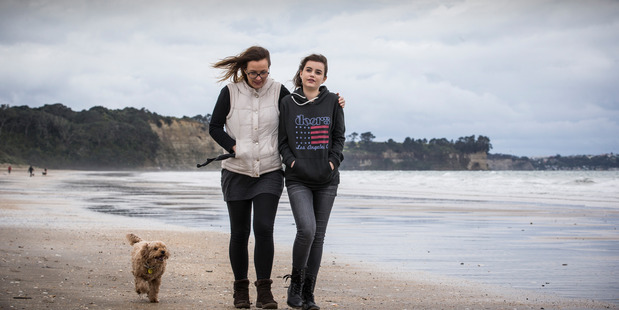 Andy Tookey of the organ donor group GiveLife NZ has submitted for 100 per cent of earnings to be reimbursed to donors, and said he was happy with the report's recommendations. "Not only is the donor saving a life but they are also saving the health system a fortune by getting a patient off expensive medical treatments. Why should they go out of pocket as well?" In June the Government released a consultation document setting out a number of changes designed to encourage higher rates of organ donation. It followed a Ministry of Health review into the rates of liver, heart, kidney and lung donations in New Zealand, which are low by international standards. At present, there are 11.8 organ donors per million people - just over half the rate of Australia. Some campaigners had called for bold changes, such as a register for donors or possibly even binding consent, which prevented families from overturning a relative's wish to donate. Those suggestions were not adopted by the ministry. Further advice will be provided to Health Minister Dr Jonathan Coleman before the end of the year.